The video on the right is an early line from "The Terminator (1984)" when the Terminator confronts some punks. 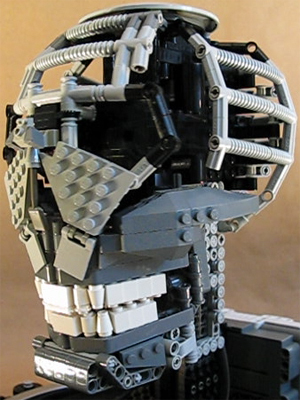 Locating and purchasing LEGO sets containing most of the pieces I desired. Taking apart and WASHING the thick layers of dust off my ancient LEGO models. 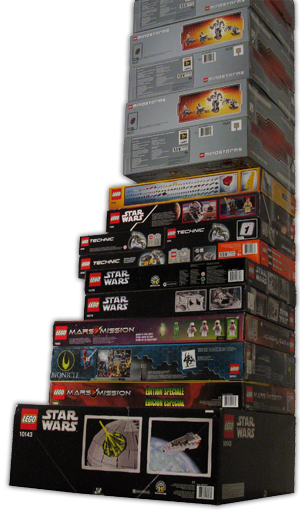 I had kept many of LEGO's "Expert Builder" sets assembled - fun to build, HARD to clean. It felt like an archaeological dig. Finally assembling some of the few assorted LEGO sets that I'd purchased between 1999 and 2003 but never assembled. Painstakingly sorting and organizing the bounty of NEW and old LEGO pieces. Video: Nice night for a walk. Video: "Its NOT, a tumor!" 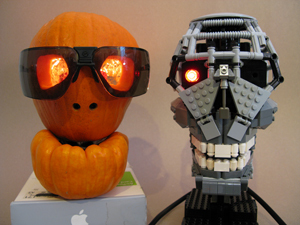 Talking LEGO Terminator - Happy Halloween!